Fr Dominic McKenna, a former teacher, is the Parish Priest for the Catholic Parishes of Borehamwood. He is responsible for all aspects of the Parish lives of St Teresa of the Child Jesus and SS John Fisher & Thomas More. Fr Dominic was trained in Allen Hall Seminary in Chelsea. 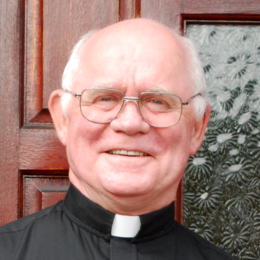 He was sent to the parish in Camden as a student in 1991 before steering the parish for 13 years. When he is not doing priestly things, he loves to cook.